• A newly devised Family Attitudes Questionnaire has been employed to quantify the perceptions of 19 bipolar manicdepressive patients and their well spouses about the etiology, familial risk, and long-term burden of bipolar illness, and to assess their attitudes about marriage and childbearing. 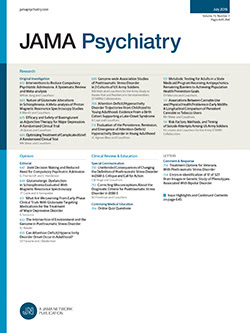 In this study, 53% of well spouses compared with 5% of bipolar patients (P<.01) indicated that they would not have married, and 47% of well spouses compared with 5% of patients (P<.01) would not have had children if they had known more about bipolar illness prior to making these decisions. The overall data suggest that the bipolar patient, compared with his or her spouse, minimizes the burden and denies the heritable/familial nature of affective illness. These findings should be borne in mind for genetic counseling as well as for psychotherapy.